Tyler Junior College’s baseball team is on a path to reach the national championship, as is expected of the players that come to play for the illustrious sports program. 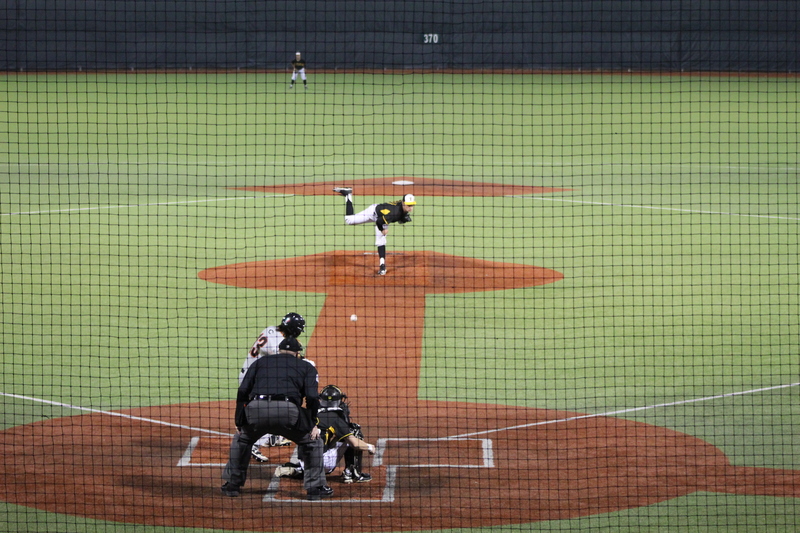 Many student athletes approach the baseball team at Tyler Junior College as it offers an opportunity to join high-level program, as well as complete general credits which are required for graduation at bigger schools. Being an avenue for many players to reach Division one programs, TJC welcomes players to a program with high expectations, with the end goal always revolving around a finals victory at the national championship. Many individuals are already getting approached by renowned programs spanning from the University of Miami at Ohio, as well as a variety of SEC programs, most notably Texas A&M. With such exposure, TJC retains a rotating roster filled with talented athletes preparing for their next stage of competition. The team is currently being led by Fiver Tremble with three home-runs, ranking him 7th in the conference. On the pitching side, TJC has a large range of players with more than 30+ strikeouts, those being Cooper Rawls, Christian Grigsby, Jacob Blatney, and Sean Beasley. With such talent, TJC’s baseball team will be a formidable force that opposing teams will struggle to compete against as the season goes on. The team currently holds a record of 25-6, retaining a five-game win streak, setting themselves in a great position in anticipation for the national championship game set to be played on June 1st. The next home game is scheduled to be played against Murray State College on Wednesday March 20th starting at 5:00 PM. This game starts the beginning of a series that will be played throughout the weekend, finishing off late in the afternoon on Sunday, March 24th. The first game will be played at 1:00 PM, with game 2 of the day following closely behind.